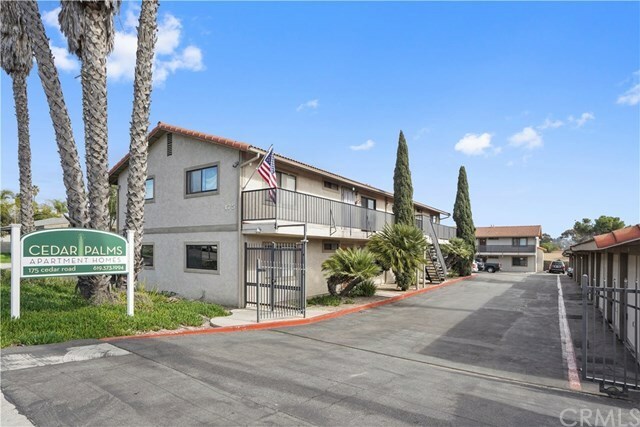 Cedar Palms Apartment Homes is a 14-unit multifamily investment property located at 175 Cedar Road in Vista, California. Built in 1986, Cedar Palms Apartment Homes consists entirely of 14, two-bedroom units. Residents enjoy a wide range of amenities including controlled access, a central courtyard, ample carport and garage parking, private patios (ground floor units), and on-site laundry. Cedar Palms Apartment Homes is located less than one mile from many schools, including Grapevine Elementary School, Casita Center for Technology, Science & Math, and MiraCosta College. 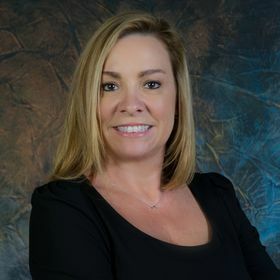 The property is also just two miles from Vista Village shopping center and Del Oro Marketplace, providing tenants easy access to plenty of retail, grocery, dining, and entertainment options.